No one really likes going to visit the doctor. Whether it is a routine check up or if you are waiting for news on a diagnosis, visiting the doctor can often be a stressful experience, for everyone involved. If you are the primary caregiver for a senior loved one and need to take them into a doctor visit, then the more that you can do in order to keep them mentally prepared for this visit, the better. This will help both you and your loved one manage the stress that you have surrounding this impending appointment. Taking the time to prepare your loved one for doctor’s visits is the smart approach to making sure everything goes smoothly. Here are a few tips to make sure your next visit goes smoothly. Many times, the absolute best thing you can do for your loved one when they need to go to the doctor is to make sure that you can go with them. Even if you have another care provider that could fill in, going with your loved one means there is an extra set of eyes and ears in the office, and that you can be there in person to offer support and make sure your loved one isn’t feeling confused during their appointment. If you are trying to squeeze in accompanying your loved one to a doctor’s appointment, and therefore find yourself very rushed and overwhelmed, it can end up doing far more harm than good. It can cause you both to be stressed and overwhelmed when visiting the doctor, so make sure to plan accordingly. Many times, when seniors visit the doctor, it comes with a lot of different questions and your loved one may struggle to answer those questions about mediations, symptoms, dates, feelings or anything in between. You should try to let your loved one answer these questions if they can, but also be prepared to answer any of them yourself as well. In addition to being ready to answer questions, you should also be prepared with your loved one’s medical history and information. This includes information on treatments and procedures and a detailed family history of medical issues. Your loved one may not be able to answer these questions on their own, so the more prepare you are to answer the questions they have, the better. When your loved one is visiting the doctor, they may have a number of questions during their visit time, both on what the doctor is saying and what they are doing and asking. 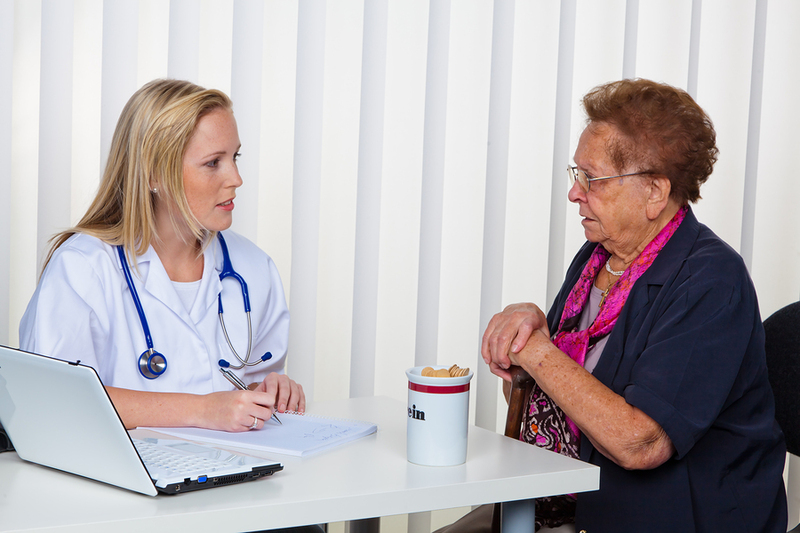 When someone is there to keep them calm and to explain everything going on, it can be very comforting for any senior during their doctor visits, no matter what the reason for their appointment may be.